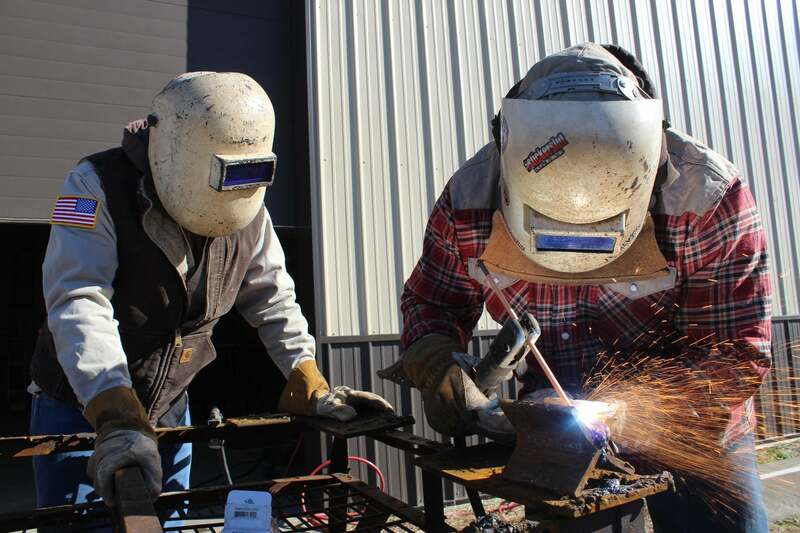 Welders are in high demand. US Bureau of Labor Statistics projected a 15% increase in welding jobs before 2020. The average age of a welder is currently 54 years old. You can rest assured that your son or daughter has made a good decision by choosing the career of welding. As a parent wanting the best future for you child KWI stands alone as the ivy league choice of welding schools. Education and training is only cost effective if it gets you the job to pay it off. College students are graduating in droves with little to no career outlook and enormous debt to overcome. The American Welding Society reports that by 2018, the US shortage of welders will reach 300,000 due to retiring welders. KWI offers lifetime job placement assistance meaning after you child graduates our team will continue to help find employment. 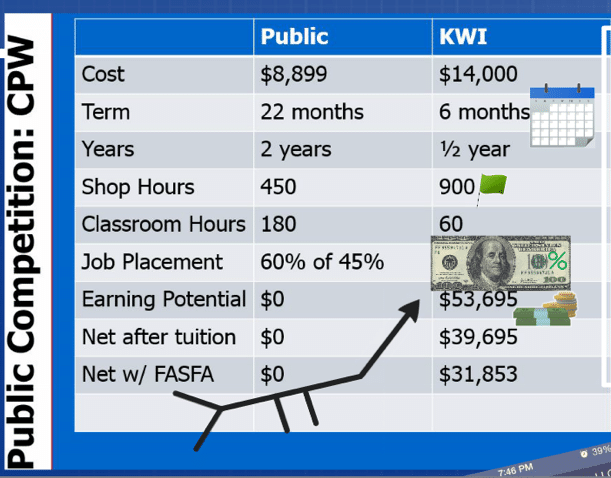 KWI’s Certified Combo Pipe Program has placed 100% of graduates in their first job averaging over $30/hour. The average combo pipe grad pays off their KWI tuition within one year of graduating. Kentucky Welding Institute is both an American Welding Society (AWS) Accredited Testing Facility and a National Center for Construction, Education, and Research (NCCER) Training Facility. The curriculum and classroom pacing was all designed by a certified teacher of the Educational Professional Standards Board. Your welder will get the benefit of 20 years of industry experience from lead instructor and AWS Certified Welding Educator, Ashley Applegate. 6 months means your welder will train at an industry pace. 40 hour work weeks are designed to acclimate your welder with the real world. In 24 weeks, KWI’s students gain 960 hours of instruction and weld time; which surpasses traditional community college clock hours. The logic is simple; if you want to get good at this highly skilled profession then repetition and practice is key. By submerging students in the welding industry their muscle memory and skill becomes honed exponentially faster than through traditional pacing. The biggest advantage of KWI is the quick turnaround from start to placement. After just 6 months of intense training, your welder will be earning a living. Traditional routes require a 2-year commitment, meaning KWI grads earn 18 months more experience and money while their community college peers are still in training. And while community college options may in some cases be free, the ultimate cost is wasted time when graduating students are unable to find employment. As a private sector training option, KWI’s lifeblood is its ability to connect grads with employment. Your welder will be taught how to locate and line up employment, build a strong and impressive resume, and earn certifications that industry respects and seeks. For these reasons, KWI statistics show that 100% combo pipe grads are placed after graduation and average over $30 per hour.